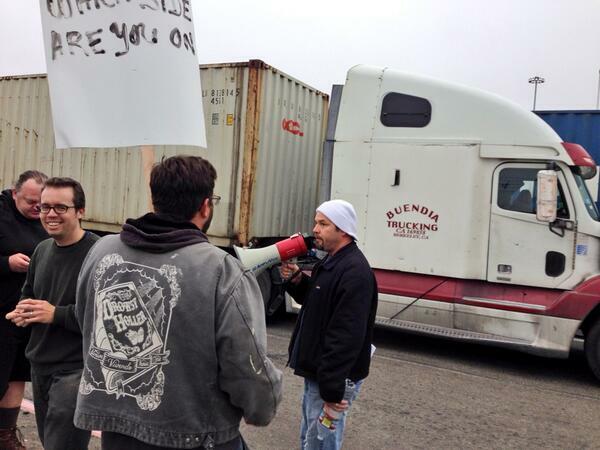 Truckers, Supporters, ILWU Combine to Stop Port Activity. October 21, 2013 at 9:15 am. All images via Alyssa’s tweets. At about 7:45 AM battalions of police surrounded Port Truckers and their supporters, forcing them back up against the fence separating the road from the port facilities. Picketers had been walking the gate there at 1717 Middle Harbor Road since 5:00 AM, police continually harassing them and threatening them with arrest. This new, massive show of force by police – some with batons drawn – apparently had the opposite of its intended effect. According to tweets sent out subsequently ILWU members decided that they would have none of this and refused to work, effectively closing Port operations. Things are happening fast. It appears as if the Port has acceded to at least one of the truckers’ demands (see last tweet and image), and is now willing to negotiate other terms. The Port Truckers are demanding tolerable working conditions and an end to wage and debt slavery; many owe large amounts for their trucks and upgraded environmental equipment, and their pay has no increased on ten years. 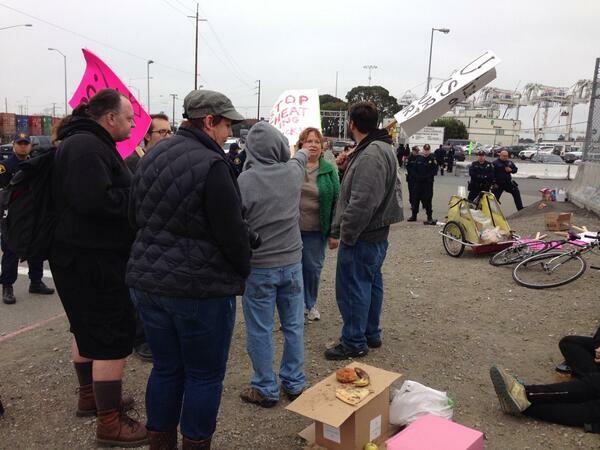 Police blockade is set up around picketers, forcing them away from the gate. There were at least twice this many at one point, pushing protesters up against the fence. 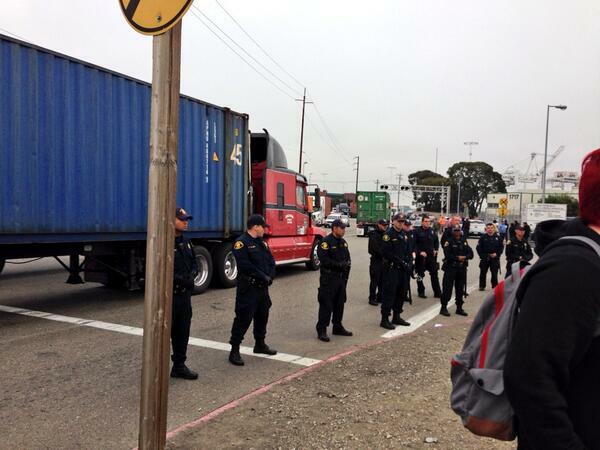 #PortTruckers maintain small presence here all day- come back in force at 5:30! People come make history! 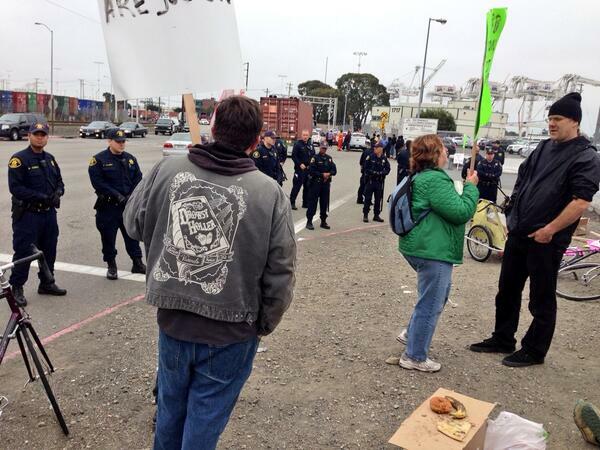 #PortTruckers “ILWU Thanks For Your Support!” I told them/longshore guy, we love them.